In religion class today we were discussing Love. "If aliens arrived on Earth from outer space, how would you explain the word "Love" to them?" Silence...and then some words of wisdom. "It means to really , REALLY like something." "I think it means to be affectionate." "If you love something, you think you will die if you don't get it." That one floored me! But of course there is always one in every audience.
" 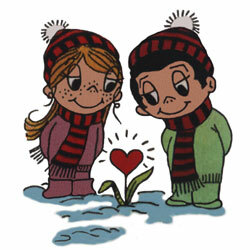 Love means no score in tennis." Far too sceptical for a twelve year old! 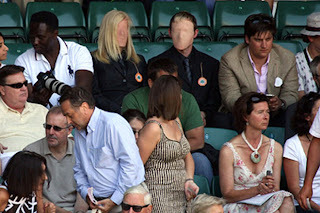 "As the 2008 Wimbledon fortnight played itself out, the event offered all of its traditional trappings — immaculately mown grass, clean yellow tennis balls, breakfasts of strawberries and cream and well-dressed faceless alien androids."